Dan Hotchkiss: "Putting staff in charge without losing volunteer commitment"
Boards that try to delegate authority to staff often worry that volunteers will lose commitment. It's a realistic concern: volunteers who handled large responsibilities under the board do sometimes decide, when the board passes the management baton to the head of staff, that they are no longer needed. This used to surprise me. Why would restructuring the flow of authority cause energy to disappear? Why are volunteers who take high-level responsibility under the board respond to the board's delegation of authority to the head of staff by taking a vacation? I'm no longer surprised, because I've found that maintaining volunteer commitment while moving management from board to staff is pretty much a universal challenge. Here is an area of work I'd like you to take charge of. Would you consider serving for a two-year term as Director of ________. You would not be paid, but you and I would set goals and meet on a regular basis, and you would be included in staff meetings as appropriate. I think of this as the equivalent of a quarter-time job. It is a lot to ask, but I am asking you, and I hope you will say yes." In larger congregations and nonprofits, staff leaders often have such conversations. Sometimes the volunteers say no, and sometimes they say yes. People have always taken big responsibilities as volunteers. There's no reason they should stop because the board decides to get out of management so it can concentrate on governing. As Rabbi Daniel Treiser writes: "To paraphrase "The Matrix," "History, it seems, is not without a sense of irony." 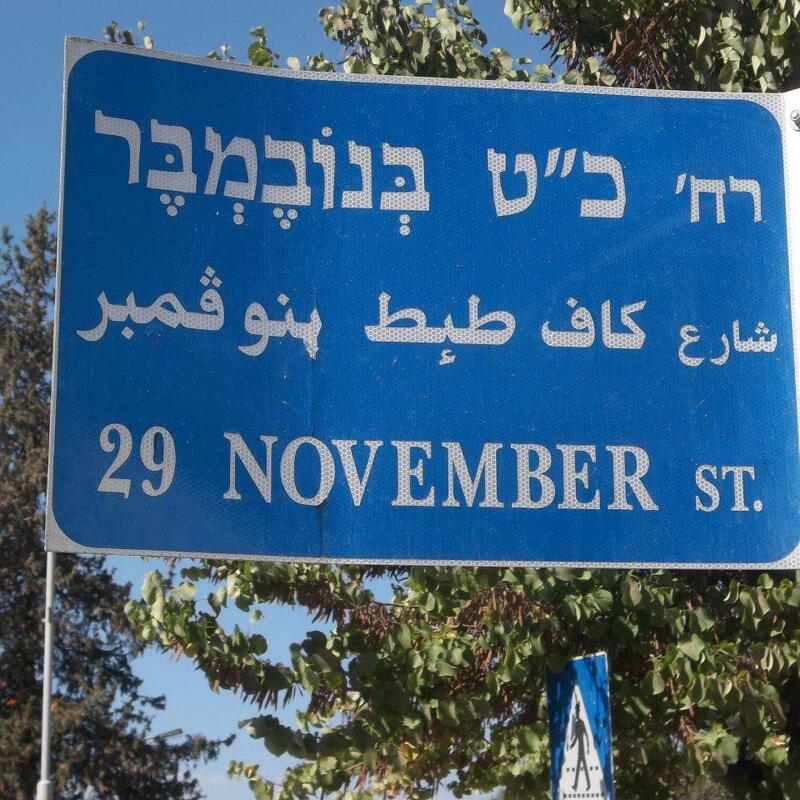 On November 29th, 1947, the United Nations voted 33 for 13 against (all the Arab nations plus Cuba, Greece and India) to partition Palestine into a Jewish state and an Arab state. The Arab nations rejected the resolution, and chose instead to attack the nascent State of Israel the day the British Mandate came to an end. Had they accepted the vote, there would have been an internationally recognized Arab state of Palestine. Instead, they chose decades of war and suffering for the population and for the Jews in Israel as well. Now, 65 years later TO THE DAY, the Palestinians come to the UN for a vote seeking 'non-member state' status, rather than come to the negotiating table with Israel. What will this mean? Symbolic victory for the PA. More international bashing of Israel. Perhaps a bump in Abbas' declining popularity. But otherwise? Who knows." 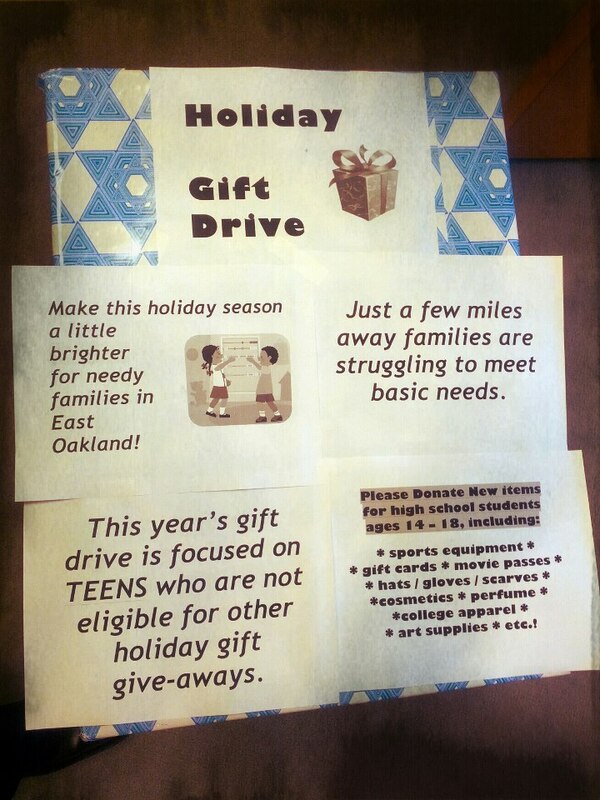 Netivot Shalom supports families in East Oakland! This year, we are collecting for teens: sports equipment, gift cards, movie passes, hard/gloves/scarves, college apparel and more! How Does Hashem Make People? Recently a young child asked me "Rabbi, how does Hashem make people?" It was one of those questions. My response was short, sweet (I hope), and pointed with gratitude to the "mere" fact of being alive. This is a more fleshed-out reflection on that question, written with as little "filter" as possible. I move about my daily life, largely unaware of the blood flowing through capillaries and veins, ignorant of synapses firing and toxins being filtered. Jewish tradition has us recite a blessing for our bodies' inner plumbing, designed to supported our physical beings in countless ways. We know this best when one function is impaired, and we value the saving of life above every other mitzvah. It is a profound gift to be alive, to have a body. My body exists to do good in the world, and that is how Hashem makes me. I meet with many people each day. Some are old, some are young. Some are healthy, some are getting healthy. Some are dying. Some are Jewish, some are not, some are in-between. It is a profound gift to look someone else in the eyes and hear their story. I exist to be connected with others, and that is how Hashem makes me. My ancestors who are alive are in me. My ancestors who have died are alive in me. This is true for each of us. The wealth of human experience is impossible for one person, one People, one generation to carry. Therefore, knowing our roots, knowing that every human being alive has roots, that every double-helix in every person's makeup carries the experiences of millennia is the beginning of awe and wisdom. It is a profound gift to be one image of God in the midst of many, each one of us reaching back and forth in time. Our existence is the profound gift of Infinite Connectivity, and that is how Hashem makes us. Rabbi Chayim of Volozhin, in his magisterial "Nefesh haChayim", points out that the verse ""the One who makes the great lights (Ps. 136:7)" is written in the present tense (NH 1:2). 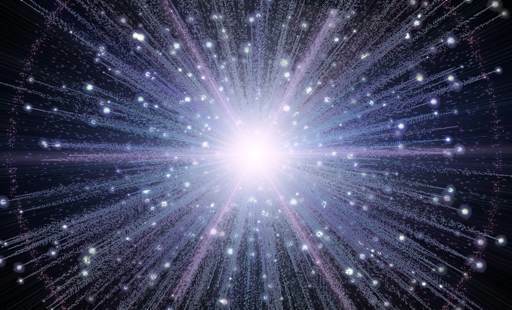 This means that God's Creation is an ongoing process, that we and the universe are constantly being made. To the precious child who asked a precious question, I say with all my heart: You are a profound gift of love, and that is how Hashem makes you. While electing the right leaders is a crucial part of our democracy, doing the actual work of governing and passing wise legislation is perhaps more important. As we're sure all of you know, a critical point in the negotiations to resolve the budget crisis is whether to sunset the tax cuts for those making over $250,000 a year. President Obama, who so many of you worked so hard to elect, is looking for widespread public support for this position and we are grateful that Bend the Arc: A Jewish Partnership for Justice is working to raise the voice of the Jewish community on this issue. We encourage you to add your name to a rabbinic letter to our elected officials. The coming weeks are a critical time for those dedicated to holding America to its promise to build a more just and equitable society. As congressional leaders and the president work to bring the federal government's revenue and spending more in balance, so many priorities of the American Jewish Community are at risk, be it disaster relief, foreign aid, or support for society's most vulnerable. That's why Bend the Arc: A Jewish Partnership for Justice, supports ending the temporary tax cuts for our nation's top two percent. This summer we sent a group of young Jews to have conversations about our tax system with members of Congress, Jewish leaders and others across the country. What we learned was that all kinds of Americans – from truck drivers to teachers, judges, real estate brokers, rabbis and stay-at-home dads – want a nation and a tax system that work for everyone. Our "If I were a Rich Man" tour helped move forward a conversation in our community about what our tax system looks like. Now we are taking it to the next level, reaching out to organize support within the Jewish community for a more just tax system, as a post-election Congress turns its attention to averting a fiscal crisis. You can learn more about our work and why we support allowing the temporary tax cuts, for those making over $250,000 annually, to sunset, in order to help ensure that the opportunities of America are shared by all. Today, I am writing to ask you to join us in this work and, as a first step, to join in lending your name to the letter below by Tuesday, December 4. We are not asking for any organizational or congregational affiliation. Just your voice, speaking up for those who are so often silenced. As rabbis, we are called upon to uphold the highest values of our faith, and to teach the laws of our tradition. Deuteronomy 15:4 proclaims "And there shall be no needy among you." On this pillar was built a history of communal responsibility. Raising revenue in order to support important community institutions was established in the Torah's commandments, extolled by the prophets, and has been a hallmark of Jewish communities ever since. As Americans, we believe that building a just country requires that those who enjoy this great nation's opportunities also share in its burdens. We therefore urge President Obama and this Congress to allow the temporary tax cuts passed in 2001, and extended in 2003, to expire, as scheduled, on December 31, for all Americans making over $250,000 a year. America faces great challenges. If we want our economy to continue to improve and create jobs, and we want a society that is secure, vibrant and just, we must approach those challenges honestly. One of the most significant issues we face – fiscally and morally – is these tax cuts, which have contributed to the escalating inequality of the past decade. We know that building a healthy, ethical society isn't just a personal duty, but a communal one. Our needs and our lives are closely bound with those of everyone around us. Whatever the President and Congress do regarding the tax cuts will have enormous effects on individuals and families across the nation. Allowing these cuts to expire at the end of this year for the wealthiest two percent of Americans – those making more than $250,000 a year – is a crucial step toward increasing the equality and basic fairness that our tradition calls for. Ending the tax cuts for those who need them the least will bring in hundreds of billions of dollars over the next decade. Together with a careful examination of our government spending, one that is not based on once again taking the most from those who have least to spare, this money will enable the crafting of a moral budget, one that protects our social safety net, strengthens our public education system, and increases job growth. At this moment, as you are tasked with avoiding a fiscal crisis and restoring our economy, we urge you to hear the voices of those with the least among us, those who are so often silenced. Hear the hungry child, the student struggling for his future, and the veteran who served her country and is now working three jobs to find her place in it. These are the voices of America. We, Rabbis from across this great nation, urge you to hear their voices and to heed their call. It is time to end the tax cuts for those making over $250,000 annually and help move America toward justice and prosperity. Olam Chesed Yibaneh - sung by smiling Jewish teens. For the last couple of days our students devoted themselves to the residents of the south. A number of students traveled southward to Be'er Sheba to support families with children in the shelters. They are delivering food to the shelters and entertaining the young. This is especially necessary for families who have a parent who has been called up to the army. In Ashdod, our students are working at the hospital, accompanying those hospitalized to the shelters and participating in the hospital's support system. In Ashkelon, we are located in the NOAM center which is the only shelter in its local surroundings. 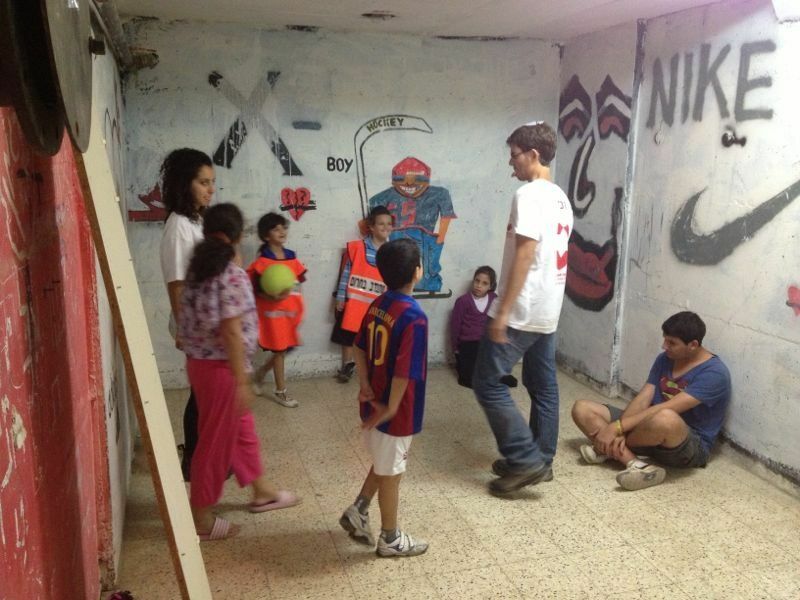 NOAM has opened the center to the public and the Mechinah students are serving the community there. In addition, we delivered scarves to soldiers who are heading south in order to keep them warm. Even with all of this, we are striving to maintain a normal life in the North among our Arab neighbors. We continue to volunteer in Kfar Manda, the closest neighboring Arab village, to emphasize the coexistence even in times of stress. Some of our students will leave for the south only after working at the learning center in Kfar Manda, a program we established when we started the mechinah. As I write this newsletter I am listening to the continuous "Red Color" alerts on the radio. Though, up north, in the Galilee we do not hear the physical sirens, our hearts are with our southern neighbors who are living under the constant threat. As a center for young leadership we are active in our response both at home and at the Front. At the Center we are currently lodging a number of groups from Ashdod; they are all glad to have an opportunity to experience some calm and appreciate not having to run constantly to the shelters. In addition, we are hosting 100 children and staff from Neve Hanna, an educational therapeutic home for children at risk. These students will reside at the center for a couple of days. 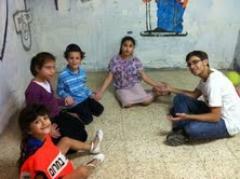 While at the Center our Mechinah students will engage these children with recreational activities, easing their time with us. We have also organized for the Noam singing group, Shirat Machar, A Song for Tomorrow, the choir of the Masorti movement, to join us and perform from their repertoire. We were honored recently by the chancellor's visit to the Kibbutz and pleased by his desire to learn more about the Center. The chancellor was accompanied by marc Gary, the executive vice president, both currently touring Israel these days and this was the first time Prof. Eisen visited Hannaton and learned first hand about the center. After touring the kibbutz and the educational center we sat together with Prof. Eisen and received his impressions regarding our programs and initiatives. Prof. Eisen said that one of the challenges of the Conservative movement today is to generate leadership – which, of course, is one of our central missions! 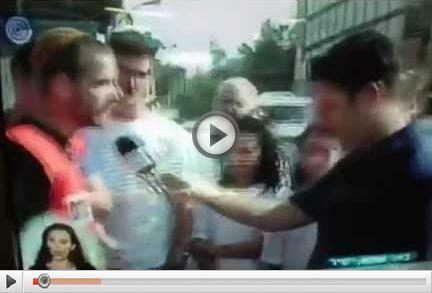 While rushing between bomb shelters IBA Channel 1 interviewed our instructor. Standing next to him the Mechina students. Are you interested in supporting our mission in making an impact on the Jewish identity of Israeli society? Your tax-deductible donation, large or small, makes a significant impact on our work and on the lives of thousands of individuals each year. On its campus in the Lower Galilee, the Hannaton Educational and Spiritual Center engages current and future Jewish leaders in open dialogue and creative expression regarding their evolving connection to Judaism and Israel. Our core programming, which includes educational seminars, hands-on experiential activities, and extended exploratory retreats, invites participants to examine their own Jewish identity and spirituality and commitment to the Jewish People, as well as how to incorporate traditional Jewish customs and practices into their modern, mainstream lives. Affiliated with the Masorti Movement and situated on Kibbutz Hannaton, the Center aims to stimulate, for Israelis, a richer connection to Judaism and, for Diaspora Jews, a dynamic connection to Israel. Powerful new Jewish music from Rabbi David Paskin, available for pre-order and shipping on Friday! Rabbi David Paskin's newest recording, T'filati, features eleven brand new songs and new arrangements for two of David's earliest compositions. Join David on a musical journey through the siddur. Learn more at rocknrollrabbi.com! I never stopped being their age. And my family hasn't yet known peace. As the crisis in Israel moves into its sixth day, millions of Israelis are living in danger. Hamas and terrorist cells operating in Gaza continue to aim rockets at Tel Aviv and Jerusalem. The cities in Israel's south are under continuous attack. 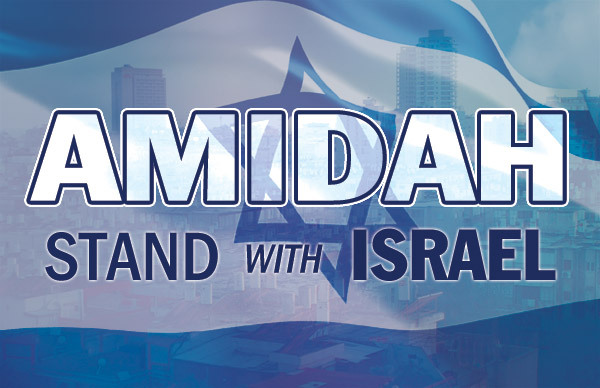 This is a time for our community to come together, to support one another, and to stand in solidarity with our brothers and sisters in Israel. The program will include prayers for peace and healing, updates on the situation in Israel and the East Bay Jewish community's response, a live feed from the shelters in Israel, a call to action, information on how to provide humanitarian relief to Israelis affected by the crisis, and an opportunity to write letters to elected officials. Having trouble viewing this message? Click here to view it in your browser. This is a friendly reminder for you to join us tomorrow Tuesday, November 20, 2012, at 7pm. At St. John's Presbyterian Church (2727 College Ave., Berkeley, CA 94705) for a Community Interfaith Thanksgiving Worship. Bravo to Daniel Gordis in Tebletmag.com: "As rockets rain down on Israel, an Atlanta JCC bans Peter Beinart. When did we become so narrow-minded?" part of Jewish LearningWorks' "One Bay, One Book"
Support Israel with a donation to the Masorti Foundation! A few minutes ago Shabbat ended, and I'm sitting here writing the second entry into my war journal. The first one I wrote four days ago, and it feels like ages ago. I would like to share with you the experience of Shabbat. In our community, we decided to announce that the synagogue would be open for prayers and that I would be there. The idea was not to invite or encourage people to get out of the house when we are in war. I would remind you that it is the moments of moving from place to place that are the most dangerous. Because when the sirens go off, you have to quickly find cover, which isn't always easy. In these circumstances, leaving the house is everyone's independent decision. Yesterday, at 5PM I opened the synagogue (prayers start at 5:30). At 5:15 there was a siren. Many people who had been on their way to shul turned and went back home. In the end, we were nine people who prayed together and went home. The night passed with tense quiet and no sirens. That is, until 7AM this morning when I got a glimpse of how the rest of the day would look. We started prayers with three people and I thought, again we won't get a minyan. In the end, more people came and we ended up with a group of 15. During the time of Torah study, at 10AM, there was another siren. We moved quickly and quietly to the shelter (please G-d we'll be getting our new shelters in ten days). I asked the people there to tell stories of how they have been dealing with the sirens of the previous days. One of the women told of an argument she had with her mother about the possibility of going to Tel Aviv for the day on Thursay. She said, "In Tel Aviv, we can have some peace and quiet." But on that day, at 6:30PM, when they were in the middle of an art workshop, there was a siren in Tel Aviv, too. Others told stories as well. In the end, I told my story of what happened on Thursday, when I returned from visiting my mother who is in a rehabilitation hospital. 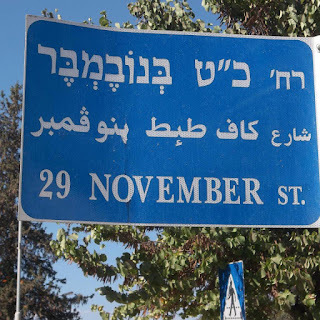 A siren sounded right when I stood at an intersection between two main roads in Beer Sheva. Following instructions, I immediately began looking for cover. I looked at the four corners of the intersection: On on corner there are two petrol stations (not a recommended place to find cover), on the second corner they are building a mall, on the third is a playground and sports equipment, and on the fourth, very far away with a high fence, was a building. What to do??? Where to run to???? The sound of the siren is piercing, and I realize that I must find cover. But there is none to be found! Suddenly I see a huge truck stop at the intersection. The driver gets out, stands between the wheels, and calls me to stand next to him to take cover. He says to me, "It's better here than outside!" I look at him and thank him. After a few seconds, I say, "What's your name?" He smiles and says, "Pinni". I say, "My name is Mauricio". I figure, in case something happens, I should know who my new friend is. This is how we live. We are friends in our shared destiny and try to protect one another. We are not a perfect nation and there is a lot to fix. but we are definitely a nation with solidarity, and the mutual help is felt every day anew. 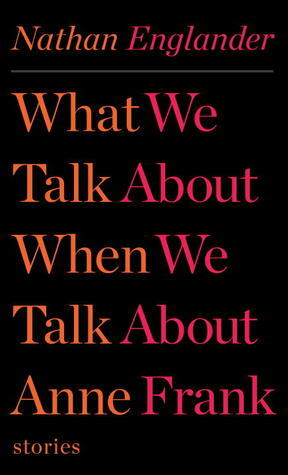 It finds expression in many little things that we are experiencing these days. Pinni, the truck driver who invited me to take cover next to him, is our neighbor. Yesterday, when he saw that my daughter Maya is in advanced stages of pregnancy, he went and brought her challah for Shabbat. Hundreds (I am not exaggerating) of telephone calls and emails from people around the country calling and offering to host people for a few days, people who they don't know, to find some rest from the tensions, they are all a source of tremendous pride for me, to be part of this nation and this country. Today there is another source of worry: Reservists received their "tzav 8" orders. It's a very small country and the army is the nation itself. Neighbors, friends, acquaintances. On their behalf: Go safely and return home safely! May the One who makes peace in the heavens bring peace to us and to all of Israel and the entire world, and say Amen. This report comes from the JFNA and San Francisco Israel offices. On Sunday, the fifth day of Operation Pillar of Defense, the conflict with Gaza continues, including ongoing rocket fire against Israel. Today rockets landed next to a kindergarten in Ashkelon, hit a car, and the front of a house in Beersheva. A fireman and two residents have suffered shrapnel injuries. School remains closed within a 40 kilometer radius of Gaza for security reasons as all children remain in shelters. In addition to the three Israeli civilians killed on Thursday, three remain in critical condition including an 8-month old baby. Over 80 Israelis have been taken to hospitals with injuries in recent days. Many more have been treated for shock and emotional trauma and the true toll of this conflict will only be seen in the months and even years to come. Hospitals are currently working with significantly reduced staff as many doctors and nurses have been called up for army service. Some 4.5 million Israeli residents, over half of Israel's population, live in rocket range and are now on alert for attacks. Over 1300 rockets have been fired at Israel from Gaza in 2012 alone and approximately 900 in recent days. Up to 75,000 Israelis have now received a "Tsav 8," calling them up to army reserve service. The media in Israel is rife with "call up" stories. One reserve soldier celebrated his wedding Thursday evening and the next morning left to join his unit. Sivan and Marius Gold (both 28) who live in Ashdod are waiting for the birth of their first child, due in the coming days. 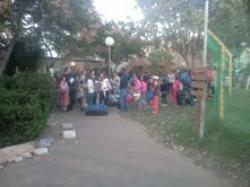 Marius has just been called up as a reserve soldier and Sivan is staying with her parents in Gan-Yavne. The couple was photographed embracing before Marius left, an image which went viral over Facebook, "I hope to come back before she gives birth," he said. Benny (27) and Danielle (25) Michaeli, husband and wife, were called up for service within ten minutes of each other, Friday. "It was clear to both of us that we would serve our reserve duty," said Benny. "We are fighting here for our future children, so that they can live quietly and tranquilly." An average of one rocket is being fired at Israel every six minutes. Long range Fajr-5 rockets continue to be fired at Tel Aviv. This video, taken by a local resident, shows a rocket being intercepted over Tel Aviv by the Iron Dome system. Iron Dome has intercepted over 180 rockets headed toward civilian areas. The rockets are affecting all of Israel's citizens. On Friday night, a rocket fell near Jerusalem, by Tekoa. One Sabbath-observant Jew on the search and rescue team was contacted on his phone as he crouched under the synagogue for shelter. Phoning him was an acquaintance from the nearby Palestinian town, Tuqua, who was panicking at the siren and did not know what to do. Prime Minister Netanyahu addressed the Cabinet this morning, "In my talks with (global) leaders, I emphasize the effort Israel is making to avoid hitting civilians and this at a time when Hamas and the [other] terrorist organizations are making every effort to hit civilian targets in Israel. We are a responsible government that is obligated, above all, to the security of its citizens, and we are acting in accordance with this obligation." Israel continues to treat Gazan civilians in need of medical care in Israeli hospitals. 99.3% of the thousands of Gazans who requested permits to enter Israel for medical treatments, were approved entry. Currently, Gazan hospitals are reported to be at 80% capacity, only slightly higher than intake during routine periods. Despite the conflict, this morning, Israel coordinated the transfer of 124 truckloads of goods into Gaza, including humanitarian supplies of food and medicine. The cyber battle also continues to be fought. Hundreds of Israeli websites have been hacked and false images of the conflict are being spread on Twitter by Hamas-affiliated organizations. Social media continues to be of use in Israel, as food supplies were coordinated for residents in the South before the Sabbath and delivered to some families. Most families are unable to venture out from their shelters to buy food and many stores are not stocked. A prayer assembly is being organized at the Kotel today, at 4:00 pm Israel time, to pray for peace for all Israel. Posters are inviting people from "all colors of the rainbow to stand together with Israel for peace and the success of the IDF." Over the last four days, all election campaigning has ceased, but some parties are beginning to question whether elections should be postponed. In theory, the party primaries for both Likud and Labor are scheduled for the beginning of next week. Both parties are exploring the possibility of postponing their primaries, especially if a ground campaign begins. Under such conditions, primary elections would be problematic for the candidates as well as for voters, many of whom may be called to reserve duty. The problem with postponing primaries is that by law, full party lists must be submitted six weeks prior to national elections, in this case by December 10. As a result, there are currently quiet discussions in to the possibility of postponing the national elections (currently scheduled for January 22) until mid or late February. The Knesset would have to meet in special session to approve such a move, which has only happened once before, during the 1973 Yom Kippur war. Our partners, The Jewish Agency for Israel, the American Jewish Joint Distribution Committee and World ORT, along with the Israel Trauma Coalition, continue to provide assistance where possible, delivering immediate services and assistance on the ground throughout the South. Such services include trauma counseling, immediate financial assistance to those directly affected, delivery of food packages to the housebound, elderly and disabled, delivery of emergency kits with flashlights, batteries and other tools, and more, including taking children in the strike zones out of harm's way. More than 23,500 children live within 7 kilometers of the border alone. The Jewish Agency for Israel has arranged to take thousands of children and teenagers for respite in different facilities out of rocket range across the country. These respite activities have been organized in full coordination with the National Emergency Authority (NEA) and the local authorities. More than 100 young adults from the Bay Area are living in Israel as part of the Masa program - offering long-term internships and service programs. JAFI has moved them out of harm's way. In addition, we are attempting to contact them to provide any help and support they may need from our Israel office and have offered to fly them home if they are not able to stick it out. We encourage you to contribute to our Israel Terror Relief Fund, if you haven't already done so, to ensure that these services can reach everyone who needs them. The ongoing stories of strength and resilience of Israelis are remarkable. Fifty premature newborns in Barzilai Hospital in Ashkelon had to be detached from all the devices attached to their incubators....the staff raced down the hallways pushing the incubators to a space that is protected from the bombs where they could reattach them to this lifesaving equipment. Seems like ages ago, but on the first day Kiryat Malachi got hit. This is a very poor town which until now hasn't experienced these attacks, and so ---was far less ready than other sites. A 4-year old little boy who was severely injured in that attack is being treated by doctors in Tel Aviv's Tel Hashomer hospital, who are fighting to save his hand using some of the most sophisticated methods known to modern medicine. More information on Operation Pillar of Defense can be seen on the Times of Israel and on Jpost. Our thoughts and prayers continue to go out to all the innocent victims and our entire Israeli family, and we pray that peace will come quickly. Want to know what it's like in Israel right now?